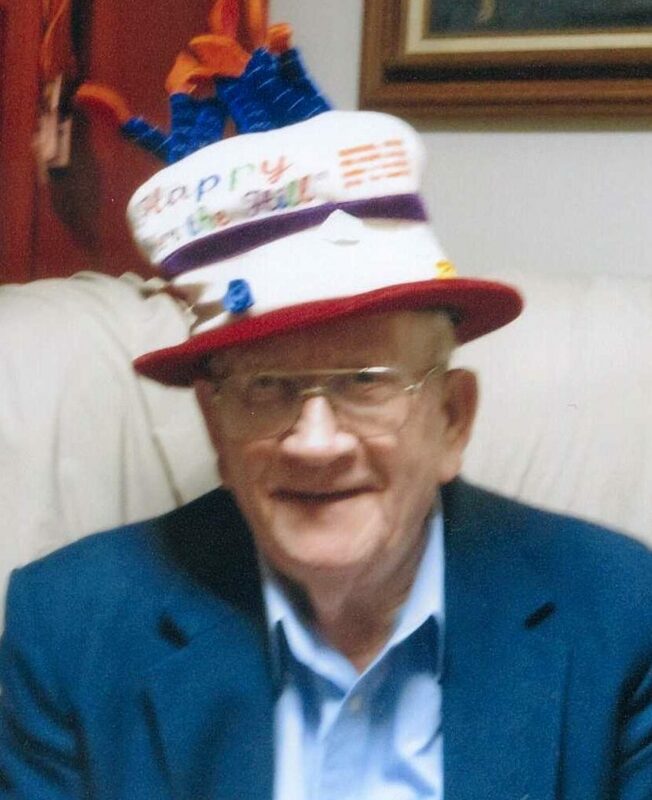 WILLIAM ROBERT SIMMONS, 91, Southaven, passed away peacefully on Friday, October 21, 2016. He was born November 27, 1924, in Ellisville, MS, and was a memberof Christ the King Catholic Church, Southaven. Visitation will be from 5-8 p.m. Monday, October 24, 2016 at Christ the King Catholic Church, Southaven with rosary at 7 p.m. Mass will be said at 10 a.m. Tuesday, October 25, 2016 at Christ the King Catholic Church. Burial will follow in Twin Oaks Memorial Gardens, Southaven. He is survived by sons, Robert Simmons (Sue), Fresno, CA; William James Simmons, Sr., Phoenix, AZ; John Simmons (Jann), Horn Lake, MS; Charles Simmons (Allison), Marietta, GA; Fred Simmons (Tracye), Somerville, TN; and Kenneth Simmons (girlfriend Kathy Taylor Fann), Southaven; daughters, Margaret Powell, Alexandria, VA; and Roberta Spencer (Dewey), Judsonia, AR; sister, Jo Bourne, Prattville, AL; grandchildren, William James Simmons, Jr., Leo Simmons, Marley Simmons, John Thomas Simmons, Joe Simmons, Jake Simmons, Jennifer Bean, Crystal Folse, Stephanie Davidson, and Crossley Simmons; great-grandchildren, Johnathan Folse, Eathan Folse, Caitlyn Folse, Tabytha Folse, Chloe Davidson, Savannah Simmons, and Saylor Simmons; and special friends, Ken and Fran Barker. Preceded in death by wife, Nancy Rita Schloegel Simmons, parents, William Reuben and Fronia Boliver Simmons; grandchild, Patricia Jean Watts; brother, Charles Simmons; sisters, Opal Jordan, Eloise Mohler, and Dorothy Bourne; son-in-law, John Watts; and daughter-in-law, Sherry Boyer Simmons. Mr. Simmons became the 1000th resident of Southaven when he moved his family there in 1964. He was a World War II veteran, and served with the Army Air Corps in England. He was a truck driver for over 30 years and retired from Red Ball Motor Freight. Mr. Simmons was known for his woodworking skills, and made many bookshelves and storage cabinets for Sacred Heart School. The family requests that memorials be made to Christ the King Catholic Church Building Fund, 785 Church Rd. W., Southaven, MS 38671, or a charity of your choice. Margaret, condolences to you and your family at the recent passing of your father. Through the stories you shared, it is easy to see the love and deep devotion you have for your family legacy. May those memories become words ever embedded from heart to pen to paper that they may forever live on. My prayers are with you in this time of loss.